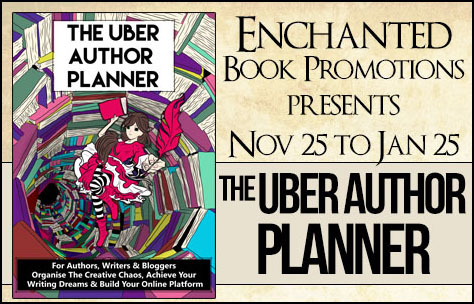 The Uber Author Planner is the ULTIMATE tool for Authors, Writers, and Bloggers. Created by an author, freelance writer, and blogger, this planner is specially designed to keep everything writing-related in one place, making you super organised and super productive. 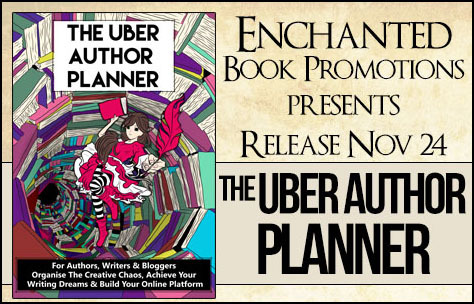 The Uber Author Planner will help you raise your writing profile, build your online platform, write more, publish more, and achieve your writing dreams. Coming with a double daily spread, plus weekly blog, newsletter, and social media planners, weekly and daily target setting, word count tracking, and stacks of extra writing and blogging aids, this planner has everything you need. As if that wasn’t enough, there is also a bonus section including The 30 Day Novel Planner. The planner’s flexible weekly system allows you to start it on any day of the year and still use it for a full 12 months. You will also get exclusive access to easily downloadable versions of all planners, and blogging and writing templates, so you can print out as many as you like once the ones in the book have been filled! Standing at just under 1200 pages, hardbound for durability throughout the year, and beautifully illustrated in full colour, this is an EPIC resource for all authors, writers, and bloggers! 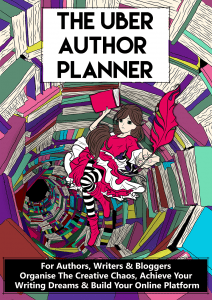 As an editor, I wasn’t sure how much the author planner would help me, but I was curious about the tips it gave to authors. Some of my authors complain of lack of time, and I thought I would read it and maybe provide them some tips. Well, I certainly can now! The book comes with these amazingly designed planners, and it really makes everything sound easy, from planning and organizing and so on. I think that even I, as an editor, have benefited from reading this. The author did a phenomenal job on making it easy to read and understand. Since 2010 she has been working on a series of Gothic Literary novels, the first of which, Chasing Azrael, was released in April 2014. The Deathly Insanity series are a set of Urban Fantasy novels with overlapping character and plot-lines. 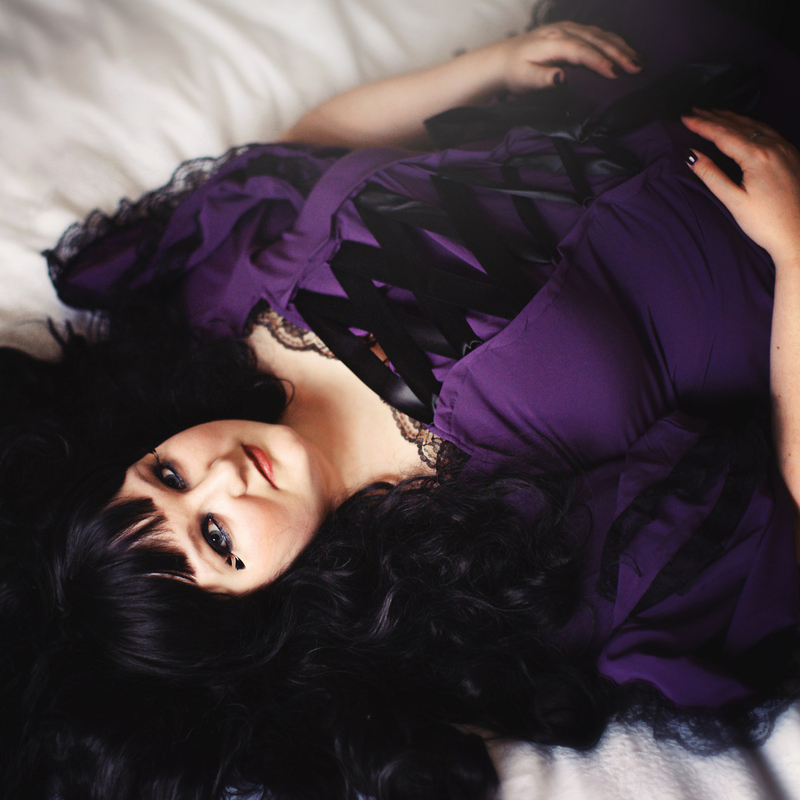 Hazel’s other published works include Bleizgeist, and ‘Grave’, a short Dark Fantasy story. She has also published an additional novella and short story under a pen name. While her primary interests are in Gothic and Fantasy art and fiction, Hazel reads a wide range of subjects and enjoys most forms of art. In addition to this, she runs The Bipolar Bear, a blog on bipolar disorder, and loves of dogs. Her King Charles Cavalier Spaniel, Dexter (yes, after the serial killer), is her near-constant companion. Editing is a writer’s first step in looking at their work critically and making it better. Any good writer is going to use a trusted critique partner – other writers, critique groups, etc. – and if a writer is serious about their career, a professional editor. For the record, an editor should never be a close friend or family member: you want someone to challenge every word you wrote to help make it better. I like to use a critique group to take me to a place where I’m ready to have someone professional look at my work. There are two types of editing, and it helps to know the difference and why each is important: there is the line edit and the content edit. A line edit is where you or an editor go line by line and fix any grammatical or structure errors. This type of edit catches typos, tense errors and errant verbiage – I am plagued by the word ‘that’ – I use it far too much and I’ve gotten myself into the habit of reading my work aloud both with and without it. If it sounds good without it, I remove it. A content edit is where you or your editor will read the piece in its entirety and look for continuity errors. This edit focuses on the story itself, how to make it better, and suggestions of changes to how it’s written to ensure the story flows from one chapter to the next. Here’s where a good editor will challenge the story, and if you aren’t getting challenges and suggestions from your editor, then they aren’t doing their job. If you’re serious about being a writer, you have to listen to the harshest critic, and that should always be your editor. Many writers have different theories on when you do which edit, but I personally like a line edit after I’m finished, followed by a deep content edit, and topped off with a second line edit. But let’s look at some other ways writers edit. Any writer will tell you that they edit the story as they write – it’s hard to turn off the internal editor. Internal editing is the most dangerous of the edits, a writer can get stuck within the internal edit and the book will never see the light of day. They constantly go back to what they’ve written and rewrite until they’ve lost focus on finishing. One of the most freeing experiences of my life was participating in NANOWRIMO – National Write a Book Month. For one month you are challenged to put 50000 words down on paper – no editing, just write. I try to limit myself to 1 chapter. That way I move forward and finish and I know there’s more editing to come. Once the first draft is completed, it’s time to see what needs to be fixed. The problem with self-editing is that many writers focus on the little things and miss some major issues. My rule of thumb is when I finish; I put that manuscript away for at least a month. I work on something else, read, relax, whatever – but I forget about the book. This helps me see the writing with fresh eyes. I do a full read through without any notes, just to see where the problems are. After a day or two, it’s time for the second read through – this time with my trusty red pen. I like to print out my work so I can write corrections directly on the page. This second pass is just to fix any glaring problems, tone, character, etc., this is not to fix typos. Once I’ve made my list I go through and make the changes. Then I let it sit for a week and do a third pass, again, only looking for big problems. If I feel that everything looks right and the story flows, then I turn to a line edit. Depending on my availability, I may run through once myself or have a trusted colleague do the line edit. There is no hard, fast rule when it comes to editing. I like to line edit, content edit and line edit – but sometimes you just feel like you’ve missed something. That’s where you do a rinse and repeat. I’ve found it helpful in this situation to use more than one editor. This is where critique groups are so necessary. You have many different voices and everyone has their own style, using more than one person’s thoughts will make your writing that much better. All of this gets you ready for the professional edit. Sometimes the best thing for a manuscript is a multi-edit session. This gives the writer multiple opinions on how to progress their narrative and keeps the writing fresh. Editorial letters are a shock to new writers. Many times, they’ve used friends and family to do editing and are surprised by the sheer number of different things that need changing when a professional gets a hold of the manuscript. It can be overwhelming, and then you have to read someone else’s critique of your work. No matter how polite the suggestions are, you will get your feelings hurt. So take the fuzzy slippers off and grab a glass of wine, there’s a way to deal with it all. First, remember to breathe. Reading and writing is subjective and your first impulse is to be defensive. So read the letter once and put it away for a few days. This will give you time to process everything that was said and bring your defenses down. Then you have to make a plan. Some people color code changes, I like to jump in. I like to break it down by chapter. That way I only do one chapter at a time then I can run for the wine. From here, you just start making changes. Work slowly but steadily – it will seem daunting, but so was writing a book. If there are major changes that happen throughout the book, it’s best to handle them on a case by case basis. Once you’ve made the changes, it’s time for a second opinion. It’s always best to edit twice, it makes everything clean and presentable and you don’t miss any typos. Writers are a strange bunch. Once we dive into changes, we start tinkering around with a book and never finish. You have to stick to a guideline of what you want to accomplish. When you’ve made changes, read it through, if it sounds right, then move on to another project, but ultimately, your book isn’t done until the editor says it’s done! Far more than a simple planner, The Uber Author Planner will help you raise your writing profile, build your online platform, write more, publish more, and achieve your writing dreams. Coming with a double daily spread, plus weekly blog, newsletter, and social media planners, weekly and monthly target setting, word count tracking, and stacks of extra writing and blogging templates, this planner has everything you need. 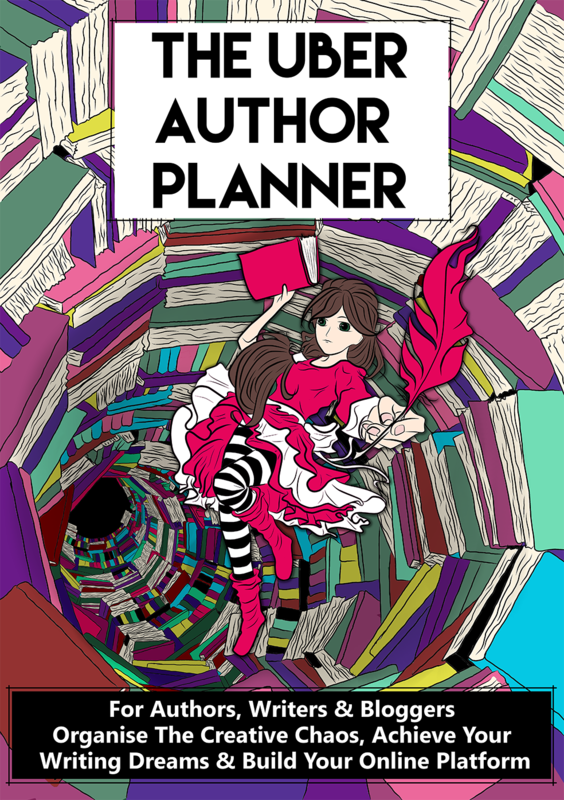 As if that wasn’t enough, there is also a separate 30 Day Novel Planner. The planner’s flexible weekly system allows you to start it on any day of the year and still use it for a full 12 months. You will also get exclusive access to easily downloadable versions of all writing and blogging templates, so you can print out as many as you like once the ones in the book have been used! Standing at over 600 pages, hardbound for durability throughout the year, and beautifully illustrated in full colour, this is an EPIC resource for all authors, writers, and bloggers! 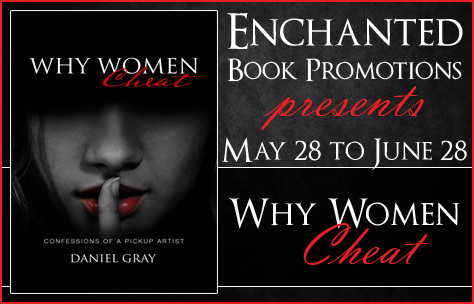 I’m interviewing Daniel Gray today, author of non-fiction “Why Women Cheat”. Enjoy the interview. Technically I’ve been writing for about four years. Though, my first official book was a chess book that I wrote for my chess students over fifteen years ago. I wouldn’t call it inspiration. For a long time I was trapped within myself. I would study, practice, and ponder things at length and keep my discoveries and talents to myself. After doing years of therapy, NLP, meditation, hypnosis, and much more, I decided to write about the things that I didn’t want to share with people. It was so incredibly liberating and not much pressure. I realized that I could write little by little and show off my fabulous me. I have so many book ideas, that I will probably be writing for the rest of me life. 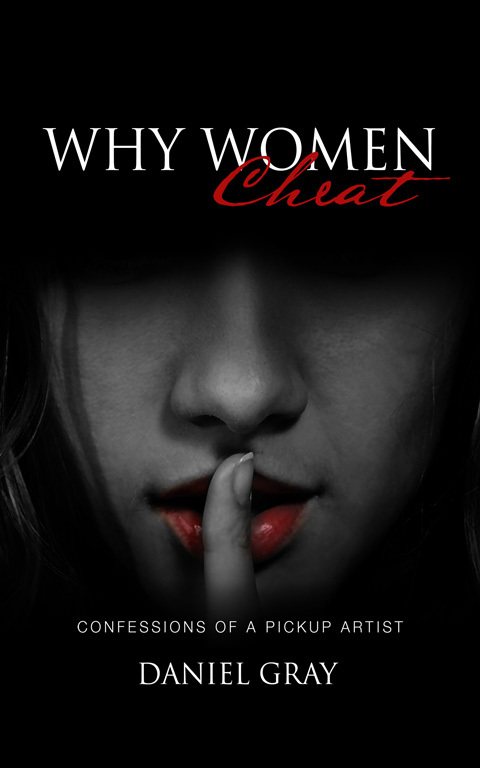 Is Why Women Cheat your first book? If not, can you tell us about your first book? My first published book was “Violent Tremors.” It was partly a confession/memoir about my difficult life, and partly things that I spent a lot of time and energy studying but refused to share what I learned. “Why Women Cheat” was one of the many topics that I briefly discussed in “Violent Tremors.” My first book was a tome, even after I cut almost two hundred pages. With each book I get better and I love it. Why did you choose non-fiction as genre to write in? Non-fiction is the genre that I read the most. I love making points and considering new ideas. I may not be suited for fiction just yet. One day I may try, but I’ve read hundreds of non-fiction books. The only book I can think of that wasn’t non-fiction was “The 9.” I only read it because someone begged me to read it and gave me her copy. It was about the things that I most cared about at the time, Chess, Mathematics, and Music. I do have fiction ideas. But I’ll be honest, if I ever do decide to entertain any fiction ideas I will hire a good fiction writer to help me with it. The best advice that I can give you is first and foremost…KEEP WRITING! The more you write, the more products you will have for sale. One day you will find yourself with a small following who will buy your books, and the only job you’ll have is to keep writing for them. Next, I would say do other things to expand your platform or get people interested in you personally. You could start acting, modeling, open a business, and so on. Give people a many chances to see every side of you and maybe if they like you, they’ll buy your book and become a lifelong fan. 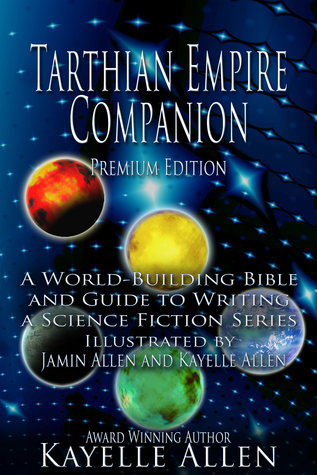 For the writer of science fiction, and the writer who wants to create a science fiction series, this volume teaches you how to build believable worlds, track details of your story, organize your writing, and lay out your story bible. Novice or experienced, you will pick up tricks and tips here. 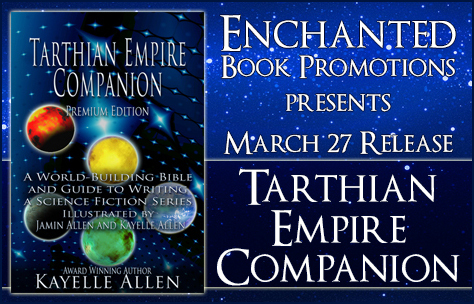 The Companion reveals the worldbuilding magic that makes Kayelle Allen’s Tarthian Empire tick. This EPIC eBook Award winning writer shares 10k years of future history, offers peeks at scene and character creation, lays out a quick tour of the Empire, and dishes up a surfeit of secrets for fans, all in one illustrated volume. Provides organizational tips, links to marketing sites, groups supporting writers, science fiction groups, and more. Material from the author’s 90+ page website is included. Original art by Jamin Allen and Kayelle Allen. 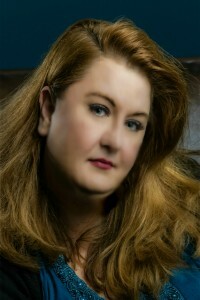 Kayelle Allen is a best-selling, multi-published, award-winning author. Her unstoppable heroes and heroines include contemporary every day folk, role-playing immortal gamers, futuristic covert agents, and warriors who purr. She makes a promise to every reader: “I will immerse you in an exciting tale and provide unexpected action in settings so real you’ll swear you’ve been there.” Kayelle is the founder of Marketing for Romance Writers, and the owner of The Author’s Secret, a support company for writers.